Affiliate marketing is effective because it allows you to leverage your biggest fans to help advertise your WordPress plugins or themes. It also allows you to leverage professional marketers (those who do affiliate marketing for a living) to help advertise your products. Using affiliate marketing for WordPress products can have amazing results (thousands of new customers) or be a big revenue loser (fraudulent affiliates collecting commissions), so it's important to execute your affiliate program right. 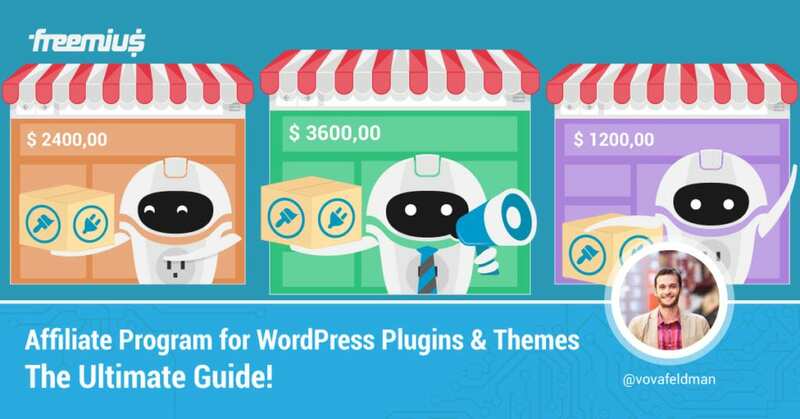 This is one of the most comprehensive guides we've found on affiliate marketing for WordPress plugins and themes. This is the most comprehensive guide for commercial WordPress product business owners. It'll help you make the right decisions about your Affiliate Program.